+ 3 = 5 Required Please enter the correct value. Editor's Note: Tom has developed a new tool that allows him to send out analytics-driven recommendations like this every single day. He's calling it "The Money Calendar". Find out why here. And it's no wonder that this company is in the spotlight with long-term analysts. 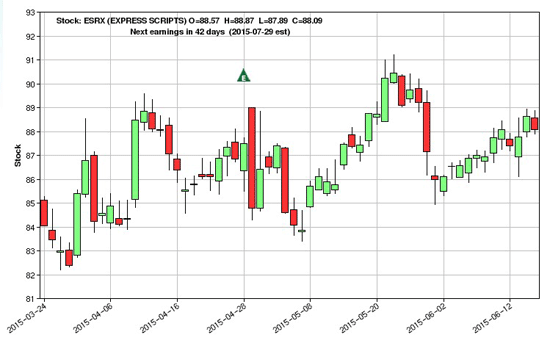 Perhaps you have never heard of Express Scripts Holding Co. (Nasdaq: ESRX), but you need to. 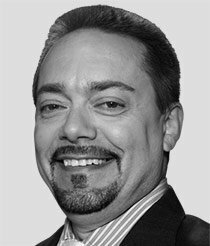 ESRX is a pharmacy management company in the United States and Canada with over $102.4 billion in revenue. It's a huge player in the healthcare sector and is always in the spotlight with long-term analysts. But is it ripe for a shorter-term technical trade? I certainly think so. I love ESRX stock for two reasons. Let's take them one at a time and use our charts to guide the way. 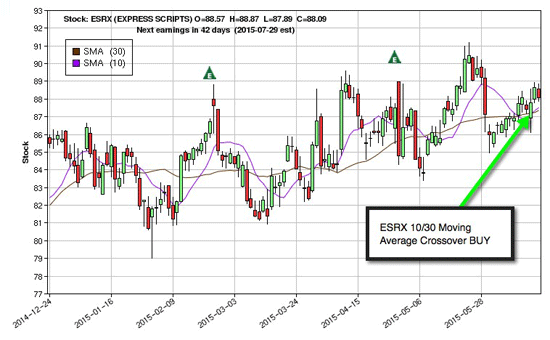 In the chart below, ESRX continues to show the higher-low, higher-high approach to its rising price. The first quarter of 2015 shows stock price lows at $82, and highs at $89.50. Meanwhile, second-quarter lows came in at $83.75, and highs pushed $91. Recently, ESRX pulled back to $85 before once again heading north to a recent stock price of $88. Just some quick calculations show the stock's lows getting higher by $1.75, while the most recent highs were $1.50. The next swing high should take the stock to $92.50, based on this analysis. The second thing I love about this stock is that moving averages are moving in the right direction, as you can see in my next chart below. Now it's one thing to have a moving average below the price of a rising stock like ESRX, but it's something else to have two moving averages help dictate buy and sell points on a stock. Moving average crossovers do precisely that. They give traders an opportunity to buy rising stocks on pullbacks. I love the 10- and 30-day moving averages on stocks that have the higher lows and higher highs on their charts. What I concentrate on is when these moving averages cross over each other. When the 10-day moving average crosses above the 30-day moving average, this is a very bullish signal, especially to a stock like ESRX, which is trending higher. On the contrary, when the 10-day moving average crosses below the 30-day moving average, this would constitute a sell.